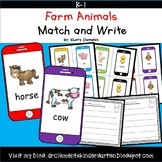 Farm animal match game is fun for learners of all ages. Real life pictures make this product functional and engaging. Just print 2 copies of the pictures, laminate and go! 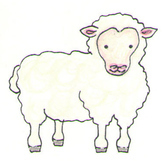 Farm Frenzy! 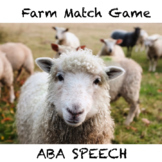 Matching Game for Speech, Language & More! 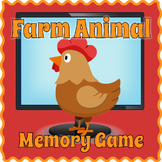 A fun game for learning or reviewing farm animals for young learners. 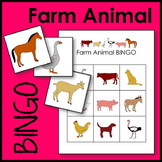 Farm animals included in the game are: cat, goat, bird, dog, rooster, hen, chick, duck, frog, cow, pig, owl, sheep, swan, mouse, rabbit, horse + farmer. Both color and black & white versions are included. Thanks for viewing. 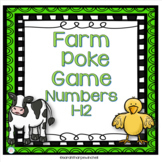 Farm Fun Matching Game - Two levels of play included, plus BONUS clip art! 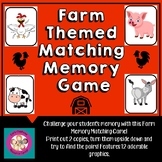 Students will love playing this memory match game to learn the Spanish vocabulary words for farm animals (and the farmer)! This game is perfect for partners or groups. Just copy, cut, and go! 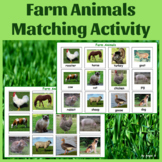 Farm Animals Matching: Bilingual Spanish-English FREEBIE!!! 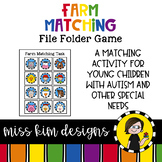 This is a very simple matching game that can be used for a variety of purposes in the classroom.